We believe what we want to believe. We believe what we need to believe. Maybe there’s no difference between wanting and needing. I don’t know. What I do know is that the truth can evade us, hiding behind our blind spots, our preconceptions, and our hungry hearts that long for quiet. Still, it is always there if we open our eyes and try to see it. If we really try to see. They found Emma’s car at the beach. They found her purse inside, on the driver’s seat. They found the keys in the purse. They found her shoes in the surf. Some people believed she had gone there to find a party or meet a friend who never showed. They believed that she’d gone for a swim. They believed that she’d drowned. Maybe by accident. Maybe a suicide. As for me, well—it was not as simple as that. I was fifteen when I disappeared. Emma would never have taken me to the beach with her when I was fifteen. She was a senior in high school and I was a nuisance. My purse was in the kitchen. Nothing of mine was found at the beach. None of my clothes were even missing from the house, according to my mother. And mothers know things like that. Don’t they? But they found my hair in Emma’s car and some people clung to this, even though I had been in her car countless times. They clung to it anyway because if I had not gone to the beach with Emma, if I had not drowned in the ocean that night, maybe running in to save her, then where was I? Some people needed to believe I was dead because it was too hard to wonder. Others were not so sure. Their minds were open to the possibility of a bizarre coincidence. One sister drowned at the beach. One sister run away, or perhaps abducted. But then . . . runaways usually pack a bag. She must have been abducted. But then . . . bad things like that didn’t happen to people like us. It had not been an ordinary night, and this fueled the coincidence theories. My mother told them the story in a way that captivated audiences and gathered enough sympathy to quench her thirst for attention. I could see it in her eyes as I watched her on the news channels and talk shows. She described the fight between me and Emma, the shrill screaming and crying of teenage girls. Then the silence. Then the car leaving the property after curfew. She’d seen the headlights from her bedroom window. Tears were shed as she told the story, a collective sigh echoing throughout the studio audience. Our lives were pulled apart in search of answers. Social media, friends, text messages and diaries. Everything was scrutinized. She told them how we had been fighting about a necklace. I bought it for Emma for the start of school. Her senior year! That’s such a special time. Cass was jealous. She was always so jealous of her sister. This was followed by more tears. The beach faces the Long Island Sound. There is not much of a current. At low tide, you have to walk a long while to get in over your knees. At high tide, the water rolls so gently, you can hardly feel its pull against your ankles, and your feet don’t sink into the sand with every wave the way they do at the beaches up the coast that face the Atlantic. It is not easy to drown at our beach. I remember watching my mother on the TV, words coming out of her mouth, tears coming out of her eyes. She had bought new clothes for the occasion, a tailored suit, dark gray, and shoes by an Italian designer who she told us was the best and a statement of our status in the world. I could tell by the shape of the toe. She had taught us a lot about shoes. I don’t think it was because of the shoes that everyone wanted to believe her. But they did. I could feel it coming through the television. Perhaps we crumbled under the pressure at our private school. Maybe it was some kind of suicide pact. Maybe we’d filled our pockets with rocks and walked slowly into our watery graves like Virginia Woolf. But then, where were our bodies? It took six weeks and four days for the story to stop leading the news shows. My celebrity mother went back to being plain old Judy Martin—or Mrs. Jonathan Martin, as she preferred to be called—formerly Mrs. Owen Tanner, formerly Judith Luanne York. It’s not as complicated as it sounds. York was her maiden name before she took the names of her two husbands. Two husbands are not a lot of husbands these days. Emma and I came from the first one—Owen Tanner. Emma was named after my father’s mother, who died of a bad heart when he was seventeen. My name, Cassandra (Cass for short), came from a baby book my mother had. She said it sounded like the name of someone important. Someone people admired. Some­ one people envied. I don’t know about any of that. But I remember her brushing my long hair in front of her bathroom mirror, admiring me with a satisfied smile. Look at you, Cassandra! You should never be without a mirror to remind yourself how beautiful you are. Our mother never told Emma she was beautiful. They were too much alike for words of affection to pass between them. Praising someone who looks the same or acts the same or is wearing the same clothes is like praising yourself and yet it doesn’t feel that way. Instead it feels diminishing, like that other person has stolen praise that should have come your way. Our mother would never allow Emma to steal something as valuable as praise. But she said it to me. She said I had the best of both gene pools. She was very knowledgeable about these things—things like how children got blue eyes or brown eyes or math brains or music brains. By the time you have children, Cassandra, you might be able to choose nearly every trait! Can you imagine? Oh, how different my life could have been if those scientists had worked a little faster! [sigh]. I didn’t know what she meant then. I was only seven. But when she brushed my hair like that, when she shared her secret thoughts, I listened with great interest because it would fill me with joy from my toes to my eyebrows and I never wanted it to end. But it always did. Our mother knew how to keep us hungry for her. Am I a good mother? The best mother you could ever want? She always smiled big and wide eyed when she asked. And when we were young, Emma and I, we would tell her yes in our most sincere voices. She would gasp, shake her head and finally squeeze us so hard, like the excitement at being so wonderful was too much to contain, like she had to wring it from her body with some kind of physical exertion. After the squeezing came a long sigh to exhale the excitement she’d freed from her bones. The excitement would exit her body on hot breath and fill the entire room, leaving her quietly satisfied. Other times, when she was sad or angry at the world for being cruel to her, for not seeing how special she was, we would be the ones to say it, knowing it would bring her back from her dark place. You’re the best mother in the whole wide world! And we believed it, Emma and I, when we were young like that. I remember these moments in bits and pieces that won’t fit together anymore, like sections of shattered glass that have been weathered, their edges smoothed. Strong arms squeezing hard. The smell of her skin. She wore Chanel No. 5, which she told us was very expensive. We were not allowed to touch the bottle, but sometimes she would hold it for us while we inhaled the fragrance from the top of the sprayer. Other fragments contain the sound of her voice as she screamed and thrashed around on her bed, tears wetting the sheets. Me hiding behind Emma. Emma staring quietly, studying her, making calculations. Waking up to our mother’s elation. Waking up to her despair. I remember, too, this feeling I would have. It is not attached to any particular moment. It’s just a memory of a feeling. Opening my eyes each morning, fearful because I had no idea what awaited us that day. If she would hug us. If she would brush my hair. Or if she would cry into her sheets. It was like trying to pick your clothes without even knowing what season it was, winter or summer. When Emma was ten and I was eight, our mother’s spell started to fade in the bright light of the outside world—the real world, where she was not that pretty, or that smart, or that good a mother. Emma had begun to notice things about her and she would tell me when she felt like it. She was wrong, you know. It didn’t matter what followed, whether it was some opinion our mother had about another mother from our school, or a fact about George Washington, or what kind of dog had just crossed the road. What mattered was that she was wrong, and every time she was wrong, our voices grew less sincere when we answered her. Aren’t I a good mother? The best mother you could ever want? We never stopped saying the word. Yes. But when I was eight and Emma was ten, she knew we were lying. We were in the kitchen that day. She was mad at our father. I can’t remember why. He has no idea how lucky he is! I could have any man I want. You girls know that! My girls know. She busied herself with some dishes. Faucet on. Faucet off. The dish towel fell to the floor. She picked it up. Emma stood on the other side of a giant island. I stood beside her, my shoulder tucked in next to hers, and I leaned toward her so I could disappear behind her body if I needed to. Emma felt so strong to me then, as we waited to see which season it would be. Whether it would be summer or winter. Our mother started to cry. She turned to look at us. Yes. We answered as we always did when she asked us if she was the best mother. We walked to her side, waiting for our hug and the smile and the sigh. But none of that came. Instead, she pushed us both away, one hand on my chest and one hand on Emma’s. She studied our faces incredulously. Then she gasped, breath going in, not out. Go to your rooms. Right now! We did as we were told. We went to our rooms. I tried to talk to Emma, I remember asking her as we walked upstairs, Emma storming and me scurrying, What did we do? But Emma talked about our mother only when she wanted to—when she had some­ thing to say. The story of our mother would be written by her, and her alone. She pushed my hand from her arm and told me to shut up. We did not get any dinner. Or any hugs. Or any kisses good night. The price for these things, for our mother’s affection, went up that night and in the years that followed. The things we had to say and do to convince her of our admiration inflated the more we said and did them—inflated and also changed so that her love became scarce. A few years later, when I was eleven, I looked up my name, Cassandra, when I saw it in a book about myths. It actually comes from Greek mythology, the daughter of King Priam and Queen Hecuba of Troy: “Cassandra had the gift of prophecy but the curse that her prophecies would never be believed.” I stared at my computer screen for a long time. My mind had run away. Suddenly, the entire Universe made sense and it was all centered around me, how my mother had given me this name, but really it must have been fate. Fate, or God, or whatever—he had entered my mother’s mind and put this name in her head. He knew what was coming. He knew that I would predict the future and that no one would believe me. Children have a way of believing in fantasies. I now know that my mother naming me Cassandra and what happened to us was nothing more than a random concurrence of events. But at the time, when I was eleven, I felt responsible for all that would happen. That was the year of my parents’ divorce. That was the year I told them what I knew—that I could see what was going to hap­ pen. I told them that Emma and I should not live with our mother and her new boyfriend, Mr. Martin, and his only child—a son named Hunter. My parents’ divorce was not a surprise to me. Emma said she wasn’t surprised either, but I didn’t believe her. She cried too much for that to be true. Everyone thought Emma was tough, that nothing bothered her. People were always wrong about Emma because she could react to upsetting things with an unsettling hardness. She had dark hair, like our mother, and her skin was very soft and pale. When she was a teenager, she discovered bright red lip gloss and dark black eye shadow, and how she could hide behind them like paint covering a wall. She would wear short skirts and tight sweaters, mostly black turtlenecks. I don’t have just one word to describe how I saw her. She was beautiful, severe, tortured, vulnerable, desperate, ruthless. And I admired her and envied her and drank in every moment she would give any piece of herself to me. Most of the pieces were small. Many of them were meant to hurt me or exclude me or win points with our mother. But some­ times, when our mother was asleep and the house was quiet, Emma would come to my room and crawl into my bed. She would get under the covers and lie very close to me, and, sometimes, she would wrap her arms around me and press her cheek into my shoulder. It was then that she would tell me things that fed me and kept me warm and made me feel safe even when I woke up to our mother’s winter mood. Someday it will just be the two of us, Cass. You and me and no one else. I can remember her smell, the warmth of her breath, the strength of her arms. We’ll go wherever we want and we’ll never let her in. We won’t even care anymore. I can still hear her voice, my sister whispering to me in the night. I love you, Cass. When she said these things to me, I thought nothing could ever touch us. I let Emma convince me to betray our mother during the divorce. She could see the next move of every player on the board. She could change their course by changing her own. She was responsive, adaptable. And she was never committed to any particular outcome except her own self-preservation. Cass, we need to live with Daddy. Don’t you see? He will be so sad without us. Mom has Mr. Martin. Dad only has us. Do you understand? We have to do something and do it now! Or it will be too late! Emma didn’t have to tell me this. I understood all of it. Our mother’s boyfriend, Mr. Martin, moved into our father’s house the second our father moved out. His son, Hunter, went to boarding school, but he lived with us when he came home for vacations and weekends, and he came home a lot. Mr. Martin’s ex-wife had moved to California a long time before we ever knew them. Mr. Martin was “semiretired,” which meant he’d made a lot of money and now played a lot of golf. I could see that our mother never loved our father, Owen Tanner. She ignored him so glaringly and with such indifference that it became difficult just to look at him, to look at the pain that radiated from his body. So, yes, our father was sad. I told Emma that I could see our father’s sadness. What I didn’t tell Emma was that I could see other things as well. I could see the way Mr. Martin’s son looked at Emma when he came home from school, and the way Mr. Martin looked at his son looking at Emma, and the way our mother looked at Mr. Martin when he was looking at them. And I could see that this was going to result in a bad future. But seeing the future is a worthless gift if you don’t have the power to change it. And so when the woman from the court asked me, I said I wanted to live with my father. I said that I thought things would be bad in our house with Mr. Martin and his son. I think Emma was surprised by my courage, or perhaps taken aback at what she perceived to be her influence over me. In any case, when I made this move on the board, she adjusted her course and sided with our mother, sealing forever her position as the most favored child. I never saw it coming. 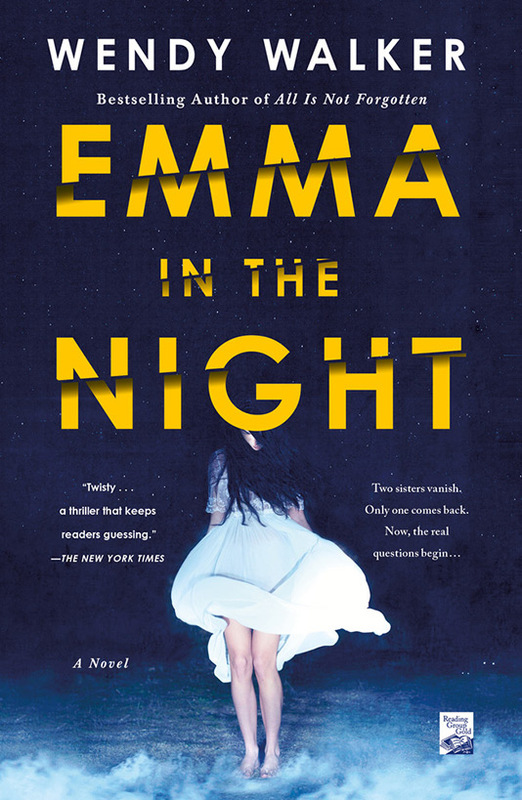 Everyone believed her and no one believed me because I was only eleven and Emma was thirteen. And because Emma was Emma and I was me. Our mother was irate because the people I had told this to could have made it so that we didn’t have to live with her. How could she be the best mother in the world if she didn’t have any children left? When she finally won, I found out just how angry she was. After everything I’ve done for you! I knew you never loved me! She was wrong about that. I did love her. But she never brushed my hair again. And don’t ever call me Mother again! To you, I’m Mrs. Martin! After the dust had settled from the divorce, Emma and our mother would dance together in the kitchen as they baked chocolate cake. They would laugh hysterically at YouTube videos of cats playing the piano or toddlers walking into walls by mistake. They went shopping for shoes on Saturdays, watched Real Housewives on Sundays. And they fought almost every day, loud, screaming, swearing fighting—the kind of fighting that seemed to me, even after years of watching them, to be terminal. But the next day, sometimes the same day, they would again be laughing as if nothing had happened. No apologies were made. No discussions about how they could get along better. No boundaries for the future. They would just carry on. It took me a long time to understand their relationship. I was always willing to pay the price for her love, whatever price she decided to set. But Emma knew something I didn’t. She knew that our mother needed our love as much as we needed hers, maybe even more. And she knew that if she threatened to take it away, to raise the price on her affection, our mother would be willing to negotiate. Back and forth, they made their trades, resetting the terms almost daily. And always looking for ways to improve their power at the bargaining table. I became the outsider. I may have been beautiful, as my mother said, but I was beautiful like a doll, like a lifeless thing people look at once before moving on. Emma and our mother had something else, something that drew people in. And so they were fierce competitors in their secret club, for each other’s love, for the love of everyone around them. And all I could do was watch from a distance, one short enough that I could see the escalation. Two nation-states in a constant battle for power and control. It was unsustainable. And so it continued, this war between my mother and my sister, until the night we were gone. I remember the feeling I had the day I returned. Having made my way to Mrs. Martin’s house—to my house, I guess (though it did not feel like my house after being away for so long)—on a Sunday morning in July, I stood frozen outside in the woods. I had thought about my return relentlessly for three years. Memories had filled my dreams at night. Lavender soap and fresh mint in cold iced tea. Chanel No. 5. Mr. Martin’s cigars. Cut grass, fall leaves. The feel of my father’s arms around me. Fear had run away with my thoughts during the day. They would all want to know where I’d been, and how I came to be missing. And they would want to know about Emma. The night we disappeared haunted me. Every detail played over and over and over. Regret lived inside my body, eating me alive. I had thought about how to tell them, how to explain it. There had been time, too much time, to construct the story in a way they would be able to comprehend. I had thought it through, then unraveled it, then thought it through again, self-doubt and self-loathing erasing and rewriting the script. A story is more than the recounting of events. The events are the sketch, the out­ line, but it is the colors and the landscape and the medium and the artist’s hand that make it what it is in the end. I had to be a good artist. I had to find talent where none existed and tell this story in a way they would believe. I had to set aside my own feelings about the past. About my mother and Emma. Mrs. Martin and Mr. Martin. Me and Emma. I loved my mother and my sister in spite of my selfish, petty feelings. But people don’t understand any of that. I had to not be selfish and foolish. I had to be the person they wanted me to be. I had nothing with me but the clothes on my body. I had no evidence. No credibility except for the fact of my own existence. I stood frozen in the woods, filled with terror that I would fail. And there was so much at stake. They had to believe my story. They had to find Emma. And to find Emma, they had to look for her. It was all on me, finding my sister. They had to believe me that Emma was still alive. Contrary to common perceptions, not everyone who looks in the mirror too long or brags about his or her accomplishments is a narcissist. Some people are just arrogant and self-centered. An actual “narcissist” is a person who suffers from narcissistic personality disorder. And, contrary to their confident exteriors, narcissists actually have fractured, fragile egos. What we see on the outside is the façade, or alter-ego, which they have created to protect themselves from the pain of feeling inadequate and vulnerable. 1. While a narcissist comes across as egotistical and confident, he or she is actually profoundly insecure. 2. The narcissist is so deeply insecure that he or she creates an alter ego of arrogance and perfection as a protective shield. 3. The narcissist is completely dependent on the admiration of others to support the façade of arrogance and perfection. 4. The insecurity within the narcissist is formed during infancy and throughout childhood. 5. Many professionals believe narcissism is a result of childhood neglect, trauma or “disorganized” attachment with the primary caregiver (inconsistent love and attention). 6. The narcissist intuitively learns to attract and cultivate followers who will worship him or her and support the alter ego unconditionally. 7. Cult experts generally view cult leaders as pathological narcissists. 8. Both male and female narcissists can be sexually provocative and promiscuous. 9. Both male and female narcissists can be domineering and controlling. In fact, the behavior of male and female narcissists can be interchangeable. 10. The narcissist may exert control and dominion over other people using techniques similar to mind control to achieve complete submission of their subjects in all aspects of their lives. 12. Excessive use of social media are not necessarily indicators of a true narcissist. 13. Narcissists can range in severity, with some being capable of small degrees of empathy and others having no ability to empathize whatsoever. 14. Narcissists who become primary caregivers to a child can damage that child and create a new narcissist. The illness can thus become a cycle within families. 15. Narcissism cannot be properly diagnosed from afar, but requires substantial knowledge of a person’s childhood and relationships.